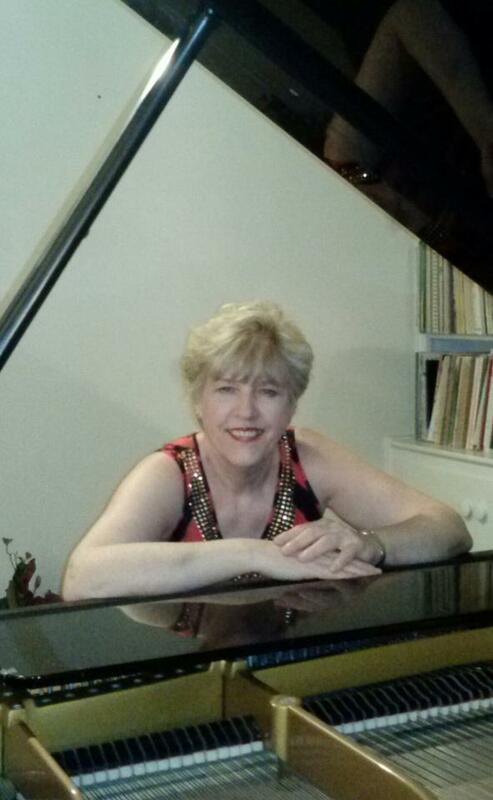 Dr. Nancy Elton maintains an active schedule as a solo piano recitalist, chamber musician, concerto soloist and teacher. Her performances throughout the Southeast and in many areas of the U.S have received critical acclaim. Hailed as "...an artist capable of amazing fire and brilliance as well as being possessed of the most graceful sensitivity and delicacy....a dazzling pianist to say the very least," (The State and Columbia Record, Columbia, S.C) she is a sought after performer and teacher, and many of her award winning students have gone on to major in piano and have successful musical careers. Dr. Elton just completed a year of serving as Visiting Lecturer at Georgia State University where she taught applied piano to performance majors, composition and music technology major, piano literature and chamber music. Dr. Elton has served by invitation from faculty members teaching piano majors and other related courses at the University of Georgia, University of West Georgia, Georgia State University and Clayton State College. She has taught many award winning students through the years. In 2005 she received the Georgia Teacher of the Year Award from the Georgia Music Teachers Association. 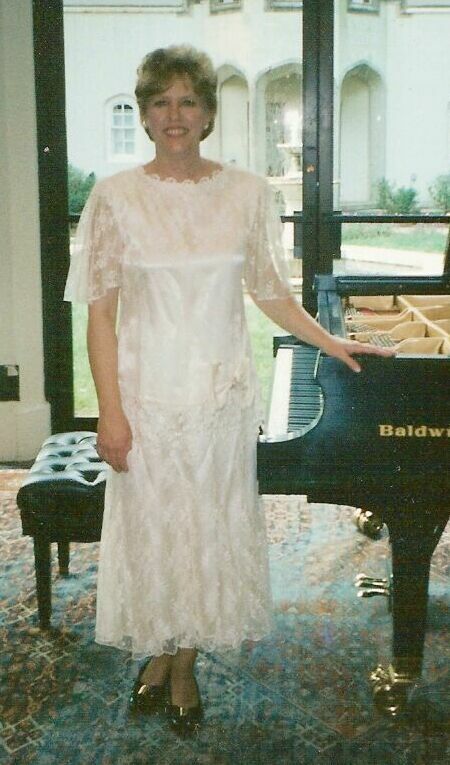 Some of her piano performances in recent years have included solo or lecture recitals for the American Matthay Association at Columbus College, Kennesaw State University and the University of Central Florida in Orlando, and the Univeristy of Kansas where she performed on a piano that belonged to Franz Liszt; solos recitals at Jacksonville State University in Alabama, Erskine College, Due West SC, and Columbia College SC, the University of Georgia, Blue Ridge Community College, Callanwolde Fine Arts Center in Atlanta, Central Congregational Church of Atlanta and Georgia Perimeter College, Reinhardt College and numerous other recitals for church concert series and music teachers associations. Concerto appearances include performances with the Coastal Symphony of Georgia in St. Simon’s, Georgia, playing Beethoven’s 3rd Piano Concerto and Rachmaninoff’s Rhapsody on a Theme of Paganini; Beethoven’s Choral Fantasy with the Musica Sacra Orchestra at First Presbyterian Church of Atlanta and the same work with the Buckhead Community Orchestra, Juan Ramirez conducting. 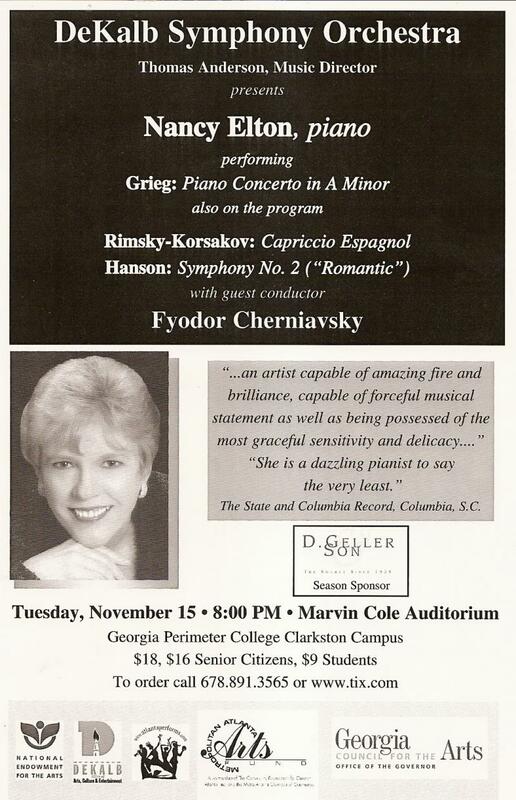 Also included in concerto performances are Grieg's Piano Concerto with the Dekalb Symphony Orchestra and the Liszt Concerto in Eb with the Columbia Philharmonic and the Florence Symphony Orchestra of South Carolina. 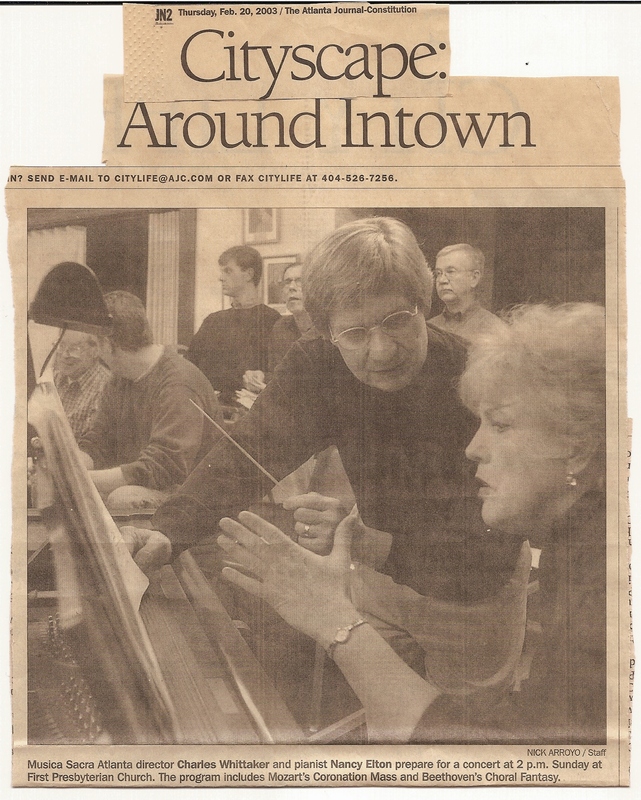 As a collaborative artist, Nancy has performed with many instrumentalists and singers throughout her lifetime. 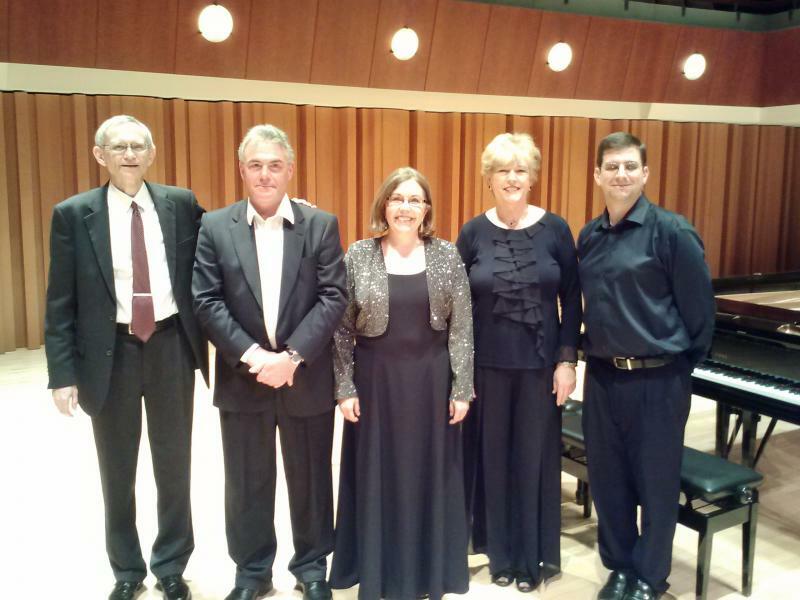 Of special note was a series of concerts sponsored by the Affiliate Artist Series in South Carolina where she was accompanist for the distinguished opera singer, baritone Adib Fazah. Recently she has collaborated in concerts with violinist Jane MaCrae, and tubist, Michael Andrew, then a faculty member at Mercer University and member of the US Air Force Brass Quintet. They have recenlty released a CD. Dr. Elton has performed several duo recitals with pianist Julie Harvey, a Juilliard trained pianist who competed her DMA in piano performance at UGA. Turning to Nancy's vocal life - she is a lyric soprano. 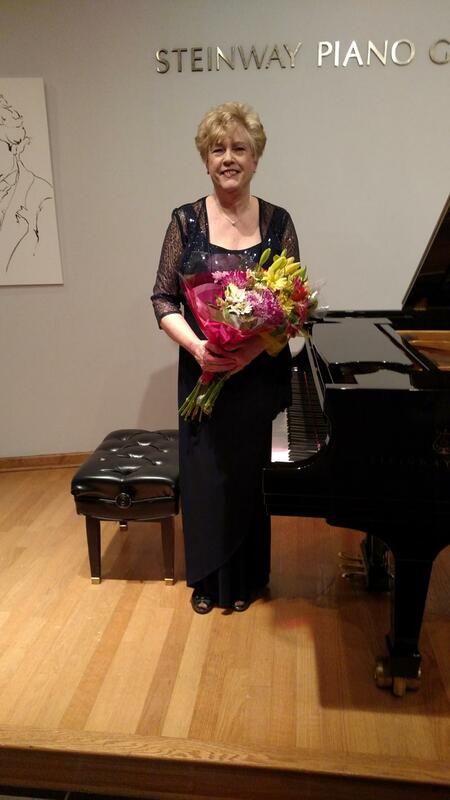 After completing her DMA in both piano and voice, Nancy pursued private vocal study with the distinguished vocal pedagogue, Irene Harrower in Atlanta. She has sung numerous leading operatic roles and many art song recitals, and has accumulated an extensive oratorio repertoire. 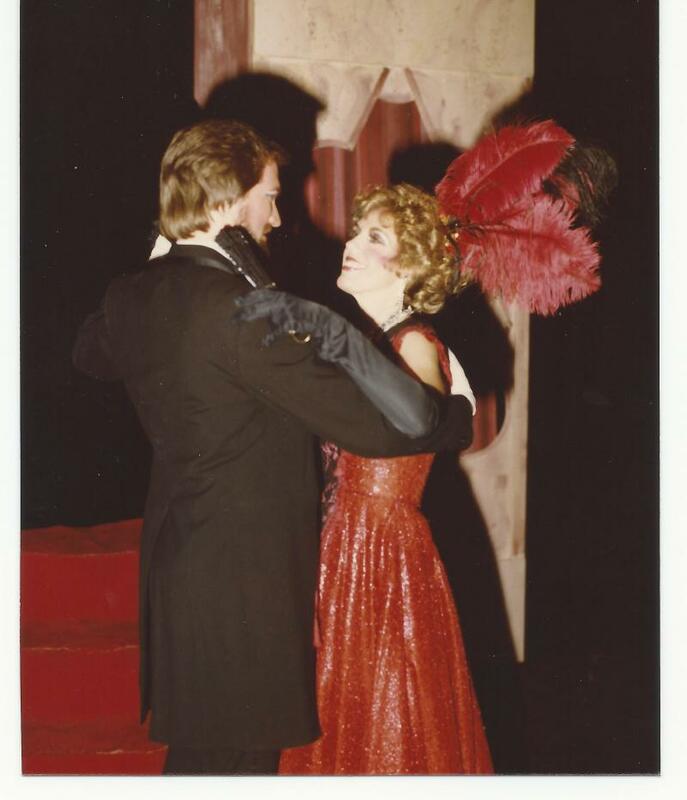 In the 1983-84 season she sang more that 30 performances in the Atlanta area schools, under the auspices of the Atlanta Opera Outreach Program. She has sung a several leading operatic roles, including The Merry Widow performed in Atlanta and shown here with leading male Donald Groce. 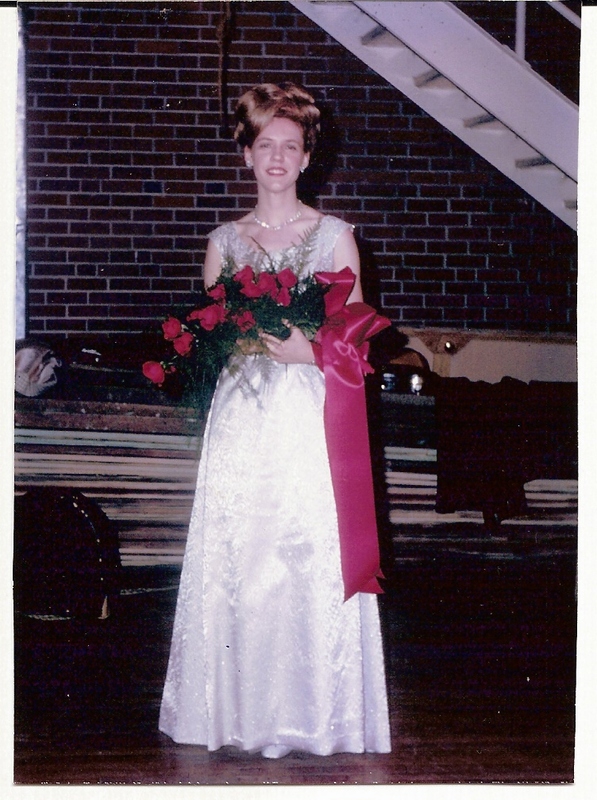 She was also featured as soprano soloist with the Atlanta Symphony under the direction of William Fred Scott, singing Rossini's f﻿﻿amous aria, 'Una voce poco fa' for a Youth Concert .﻿﻿﻿﻿ She was soprano soloist for 12 years at First Presbyterian Church of Atlanta and a frequent soloist with the Musica Sacra Concert Series. 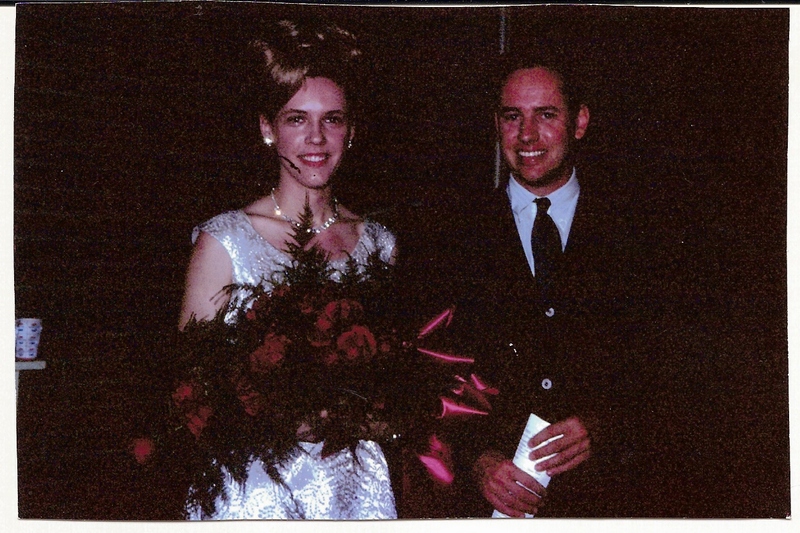 She was also soprano soloist and section leader at Peachtree Presbyterian Church for several years. Nancy has performed a broad specrum of the piano and vocal literature, including major 20th century works of Prokofiev, Elliott Carter, Schoenberg, Webern, Berg, and others. Her doctoral dissertation and lecture recital, was a combination of piano and vocal works of Schoenberg and Webern. A favorite of Austin composers when she lived there, she sang the Austin premier of song composers, Priscilla McLean and Kathryn Mischell. A recording by Capstone Records released in 1999 features her as the soprano soloist in a song cycle entitled “Fantasies for Adults and Other Children” by Priscilla McLean. As a svoice student of Bethany Beardslee, an avant garde specialist, she sang demanding works of composers Milton Babbitt and other composers whose works demand a keen sense of pitch, for which Nancy is always praised. She began her musical studies with piano lessons from her mother, Lily Parker Hill, and vocal study from Edward Gavin of Columbia, SC. 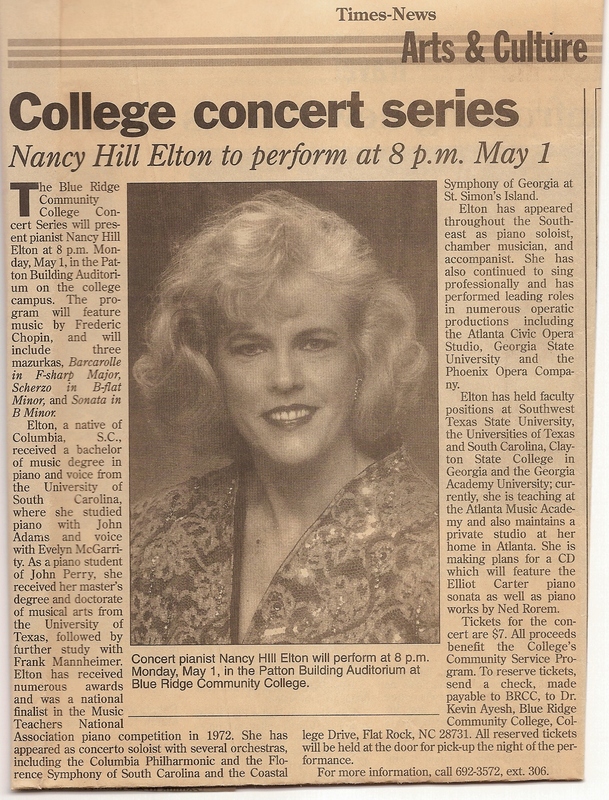 She received the Bachelor of Musical Arts degree from the University of South Carolina where she was the recipient of numerous awards and scholarships including the music school's highest honor, the Music Achievement Award. At USC she studied piano with John Kenneth Adams and voice with Evelyn McGarrity. 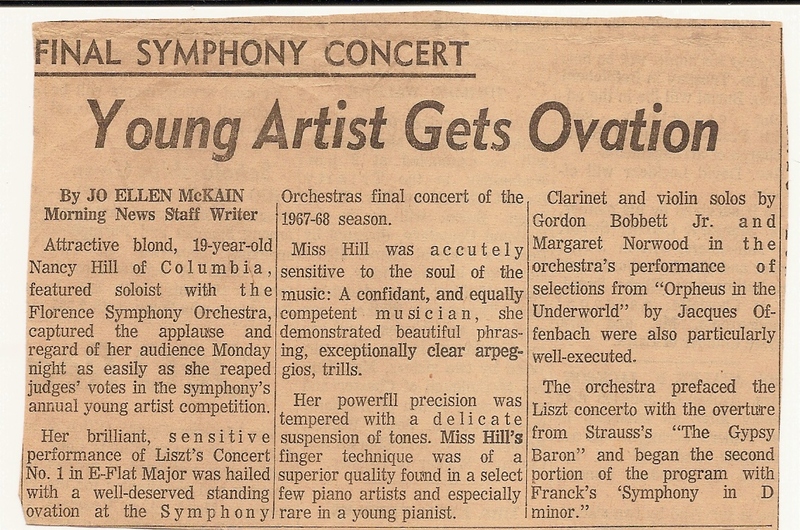 As a student of John Adams, she was the winner of the SCMTA Pre-College Piano Auditions, and in 1972 was a national finalist in the MTNA Collegiate Young Artist Competition, winning an Honorable Mention. 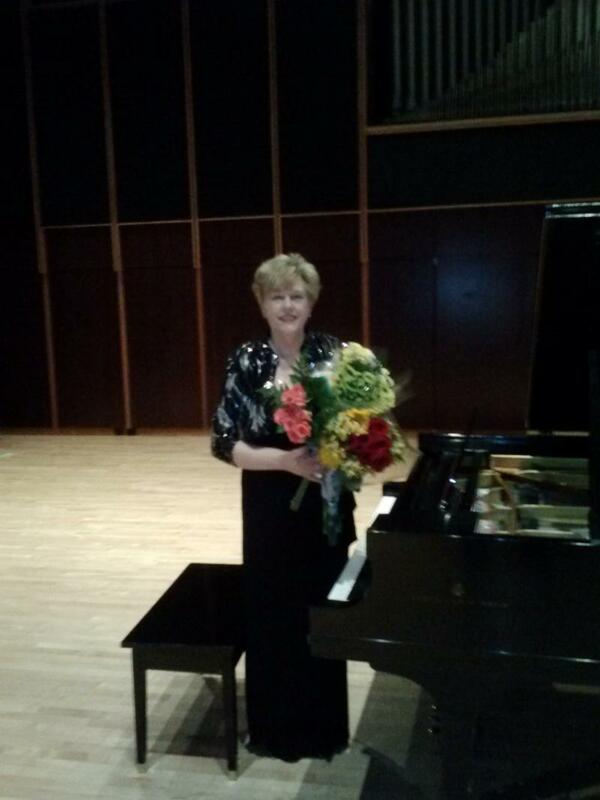 ﻿Nancy is active as an adjudicator and clinician for many piano festivals and organizations. She is a past President of Atlanta Music Teachers Association and has served in numerous capacities for other professional organizations. Nancy's husband, John, has recently retired as a computer scientist for Accusoft Pegassus as well as a Math Professor at Georgia Tech. A gifted amateur pianist and saxophinist, he and Nancy have for several years been entertaining in retirment homes around Atlanta and SC in a program that includes Nancy singing the popular songs of the first half of the 20th century (i.e., Gershwin, Berlin, Kern, CarMichael, Arlen, etc) and Dave Brubeck! "It has brought and new and incredibly rewarding dimension to my life." Nancy and John have one son who is a graduate of Georgia Tech with a degree in Physics and recently completed his Master's Degree in Physics at Cornell University. He will be entering Columbia Univrsity this Fall, 2015 to continue his studies in Mathematical Statistics and Data Science. with Charles Whittaker for Musica Sacra Concert Series at First Presbyterian Church of Atlanta. Nancy with her teacher, Professor John Adams, after a performance of Liszt's Concerto #1 with the Columbia Philharmonic Orchestra. Nancy, Age 19, backstage after a concerto performance with the Florence Symphony Orchestra, S.C. Nancy and Piano Faculty of the University of GA, 2013 after the Steinway Gala!